This album was inspired by my clients and you’ll even hear them on the album. 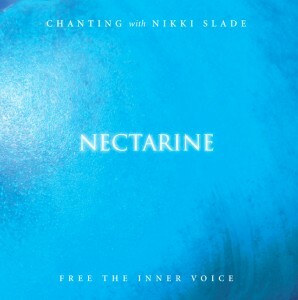 They wanted to bring the sweet nectar of chanting into their everyday home (hence the name Nectarine). The album feels raw and innocent and is designed to bring joy and playfulness into your life. If you are exploring chanting for the first time or if you want to bring the joy and playfulness of chanting into your life. Listen and and let your inner child come out. An invocation to the Great Goddess Mother Durga who brings light into darkness. I honour the bliss of consciousness within. An invocation to the great Lord within that brings us shelter. Hey Mother, Mother divine hear our prayers. Listen, listen to our prayers. Hey Mother. Mother divine, hear our voice. Listen, listen to our voice. Shivoham, Shivoham. A blessing to the Divine Presence.